This week we are heading to the Emerald Isle of Ireland for our ornament inspiration. 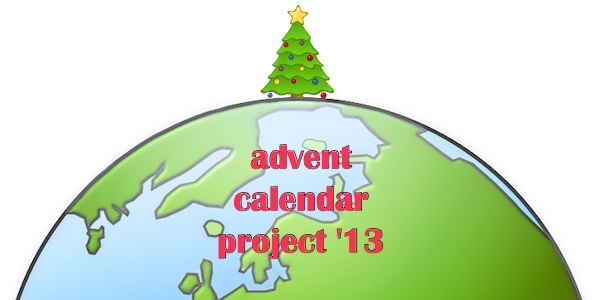 In Ireland, people typically start decorating for Christmas on December 8th (the Feast of the Immaculate Conception) and decorations stay up until January 6th (Epiphany). (It is considered bad luck to take your decorations down before that date.) 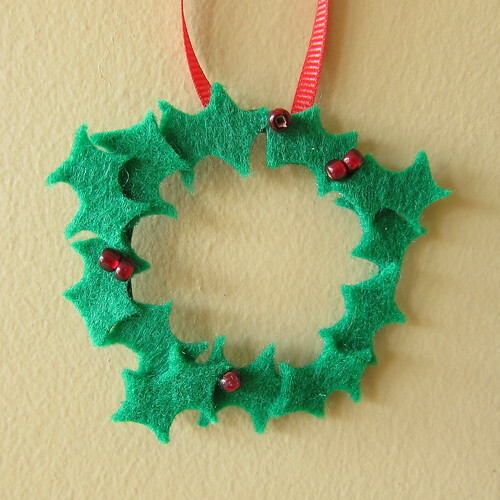 One of the most common decorations you will find around Ireland is holly. Since holly grows abundantly around the island even the poorest people could afford it; they just went into the wilderness and cut the sprigs themselves. You will often see rings of holly on doors, sprigs of holly tucked into mirrors and picture frames and bunches of it decorating mantles. 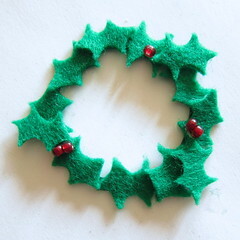 Our tiny ring of holly is made from felt and beads. It looks sweet on a tree, but would also look cute hung on packages. You can make this any size you want. Mine is about 2″. 1. 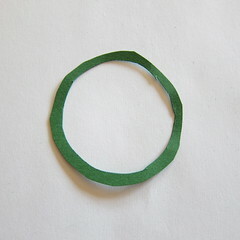 Cut a wreath shape from the green cardboard that has about a 2″ diameter and is about 1/8″ wide. It doesn’t have to be perfect as you won’t see it, but use a compass if you want. I used cardstock for my wreath and it was a little flimsier than I would have liked. Next time I will use cardboard. 2. 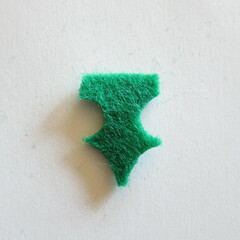 Cut holly leaves from the green felt. 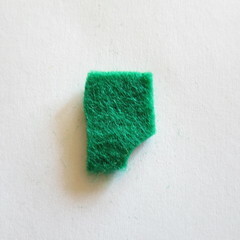 It is really easy to cut them without a pattern. 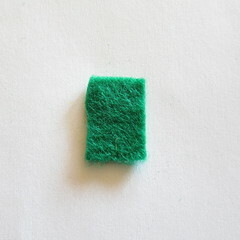 Cut a rectangle from the felt the size you want the leaf to be, mine were about 1″ x 1/2″. 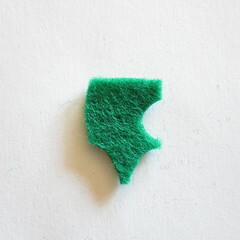 Cut a quarter circle off one corner. Repeat with the opposite corner. Cut a half circle in on one side above the corner you just cut off. Repeat on the opposite side. 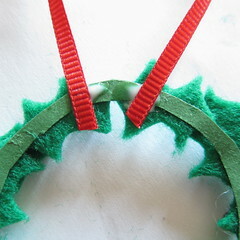 Now cut quarter circles off the top two corners and you have a holly leaf. Remember they don’t need to be perfect. 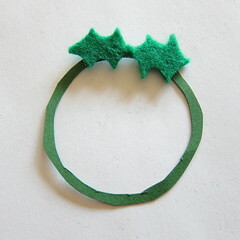 Cut enough leaves to go around your wreath shape plus a few extra. I used twelve. 3. 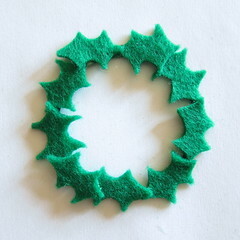 Glue leaves around the wreath shape. Overlap them so you almost completely cover the cardboard. 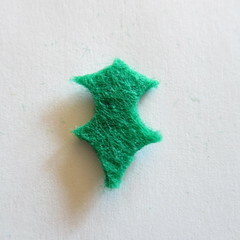 Then glue a few extra leaves on top to create bunches. 4. Glue red beads in a few places where leaves meet. Let dry. 5. 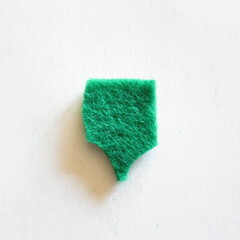 Glue ribbon to the back to form a hanging loop.